Cantor’s Driving School offers driving lessons and driver training in all areas of Jupiter, Florida. Over 50,000 drivers have learned to drive with Cantor’s Driving School. Are you our next safe driver in Jupiter? 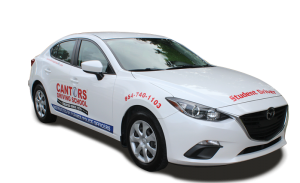 Cantor’s – The Driving School That Gets Results® in Jupiter. When taking driving lessons in Jupiter, Cantor’s Driving School provides driver training on local roads such as Center St, Ocean Blvd, Indiantown Rd (Rt. 706), Military Trail, Jupiter Lakes Blvd, Central Blvd, Indian Creek Parkway, Riverside Dr, Seabrook Rd, Whitney Dr, Old Dixie Highway, Tequesta Dr and Toney Penna Dr. For highway driving lessons, US 1 / Rt 5 is the most popular main highway, along with Rt 811 (Alternate A1A / Glynn Mayo Hwy) and I-95/Florida Turnpike. Driving lessons can be conducted on roads in Jupiter neighborhoods like West Jupiter, Tequesta, Rood, Jupiter Inlet Beach Colony, Hell Gate, the Jupiter Lighthouse area and more. Teen drivers can be picked up at Jupiter High School, William T. Dwyer High School, Jupiter Christian School or any schools near Jupiter. Click to find the closest DMV office to Jupiter for driver licenses, driving tests and ID cards. Cantor’s Driving School offers driving lessons in Jupiter including the zip codes 33458, 33468, 33469, 33477 and 33478. Use the Cantor’s Driving School contact form or call us at 954-740-1103 for further assistance with driving lessons in Jupiter.